The Splash Zone Liquid Tight Conduit features a moisture-, oil-, and sunlight-resistant polyvinyl chloride (PVC) jacket that inhibits bacteria growth and won’t degrade due to “wash down/splash zones” with bleach agents. This allows food manufacturers to clean and sterilize using bleach without the risk of product degradation. The National Sanitation Foundation (NSF) classifies a splash zone as a location where during normal operations direct contact with food products is not expected. The location may be where liquids used in processing or cleaning may splash or spill on the surface causing a risk for dripping or draining onto other surfaces. Wet location listing is not sufficient in these areas and products must be tested to withstand high-pressure hose washdown. 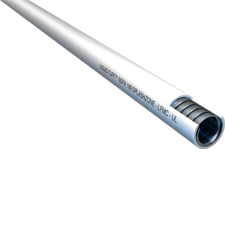 The Splash Zone Liquid Tight Conduit is UL and CSA Listed and an NSF® 169 Component, meeting and exceeding standards for material safety, design, construction, and product performance in the food industry. Available in metallic and non-metallic.